In all the years I’ve been going to the LA Roadster Show, I’ve always attended the SoCal Speed Shop’s open house car show on the Friday night before the Roadster Show. 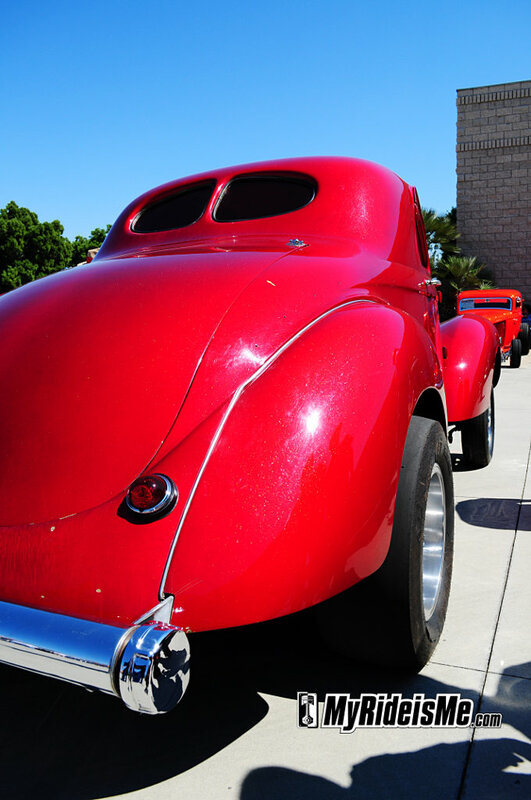 By about 4PM on Friday, everyone’s already setup their swap spaces and scoped out the early deals, so besides grabbing a bite, there’s not much else to do except see some great local custom hot rods and see what Jimmy Shine and the other builders are up to at the shop. 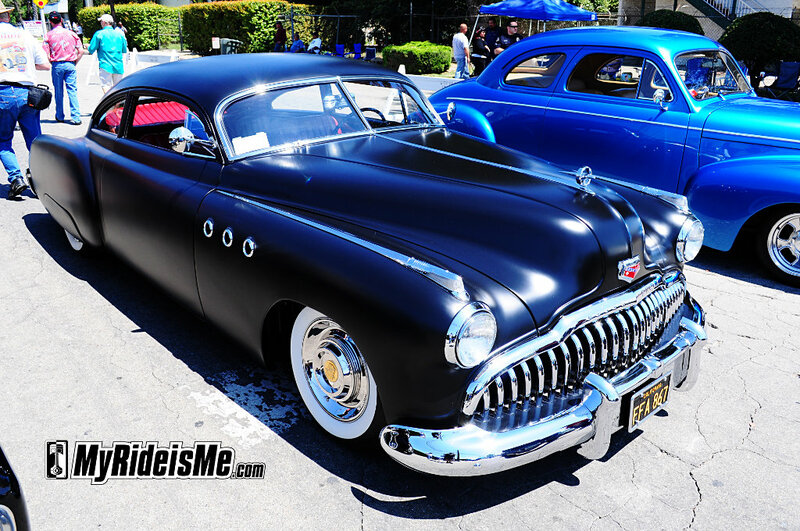 Outside the shop, the streets are lined with hot rods and customs like this 49 Buick Sedanette. Out of all the cars I saw this weekend, this Buick was one of my favorites. It was for sale too. Got an extra $45k? Speaking of projects, here’s two in progress. 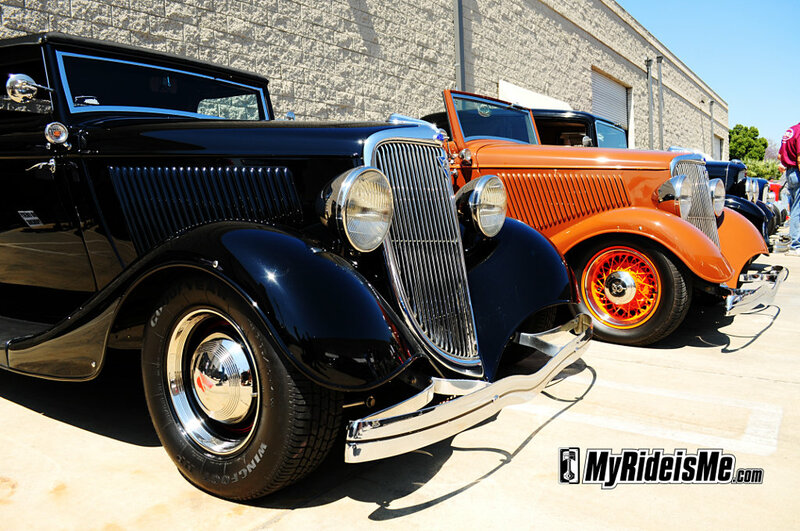 The one on the left sports a 409 Chevy and all the touches of a very special nostalgia hot rod. On right is the Indy Speedster fashioned after an Indy-like sprint car with a Roush motor. It’s taken 15 years of construction to make the hand formed, all aluminum body. This will be one of a kind, to say the least, when finished. Do your projects look like this when they’re going together? The paint on this Willys Gasser doesn’t have the shine of the other hot rods at the Pomona show and probably didn’t before it sat for 15 years untouched in Jack “Racer” Warren’s garage… but I wouldn’t have it any other way! I owe you a feature story about this Willys after the Viva Las Vegas Show. Some day! 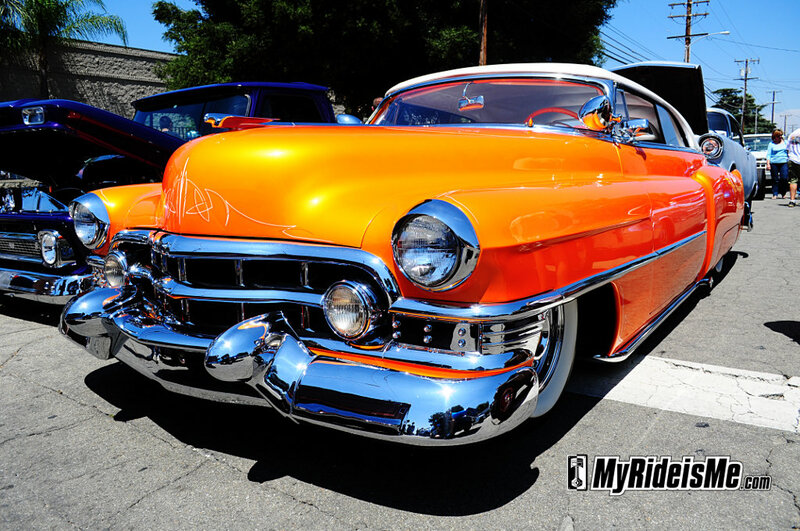 Here’s the rest of the best pictures from Socal Pomona. 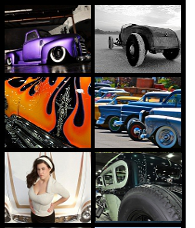 Look for more in the Hot Rod Picture gallery… soon!